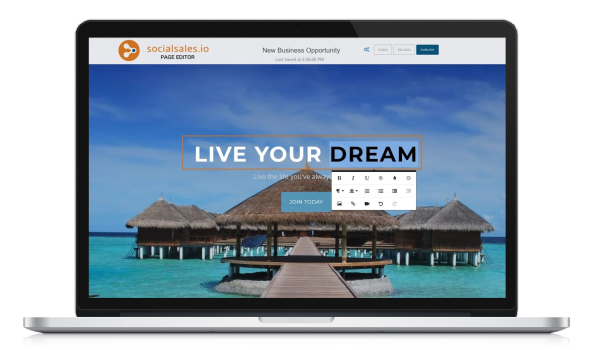 Create, schedule, and promote social marketing campaigns for your distributors to personalize and share. Extend your brand with compliant content. Make it easy for your distributors to embrace social selling with content they will want to share. Create social marketing campaigns that improve the effectiveness of your sales force’s social interactions. Provide them with brand video and image content, product shopping, and opportunity enrollment pages that they share with prospects. Create campaigns for new product launches, product promotions , webinar announcements, single-product shopping and more. Your sales force will become social selling experts as they leverage each social media campaign. Empower your sales force and they will expand your brand reach using social channels. 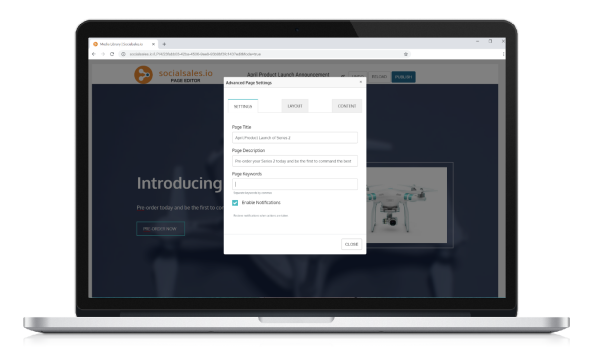 The Social Campaign Builder provides your marketing team with the tools they need to build and manage successful social marketing campaigns for your sales force. Use the media library to upload and manage content used in the campaigns. Select a template and build beautiful pages with the easy-to-use page editor. Bring your sales and marketing teams together with an enterprise social selling approach. Your teams will collaborate to create social marketing campaigns that convert. Protect your brand, stay compliant, and manage your risk with a consistent brand message across your sales force. Give your sales force the information they need to stay energized and engaged with their customers. With social campaign notifications, you can alert your distributors when new social marketing campaigns become active. 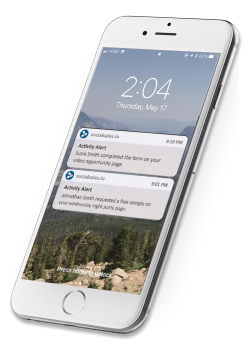 Leverage the social campaign push notifications to alert your distributors for flash sales, product launches and more. Social networks are all about engagement and personalization but when it comes time to transition from social media to replicated websites, the buyer can become disinterested with the lack of consistent messaging. 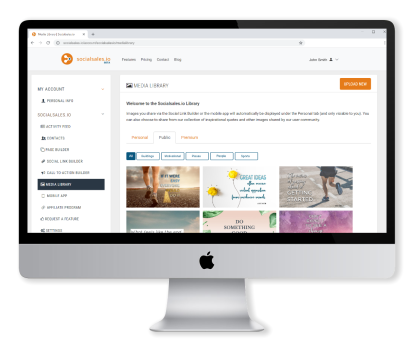 As your sales force leverages the social marketing campaigns you provide, they can personalize the pages to match their social messaging and brand all while remaining compliant and consistent with your brand.